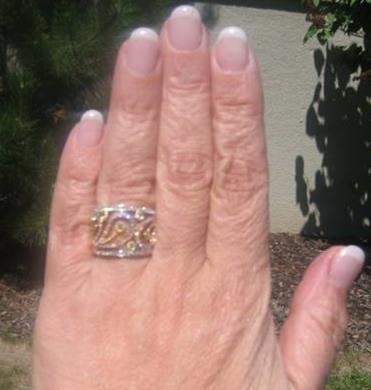 Matata shared this amazing Right Hand Ring on the Show Me The Bling Community at PriceScope.com. I love the finger coverage on this, such a fabulous statement piece! If you are a regular reader, you probably already know that I really like RHRs because I just love the versatility of being able to change out your jewelry look, and I don’t like to go without my wedding set. So many PriceScopers love Simon. 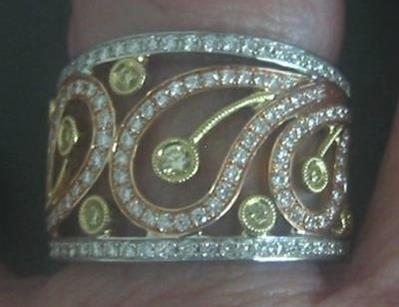 G. Jewelers, myself included! Unique looks, meticulous attention to detail, stunning beauty, I mean…what’s not to love? The contrasting colors in this piece really made it stand out, the mixed metals combined with the yellow and white diamonds, this is a winner! I really hope that you still love this, Matata, and have worn it in health and happiness. Want to see the whole post with more pics? More pics this way!